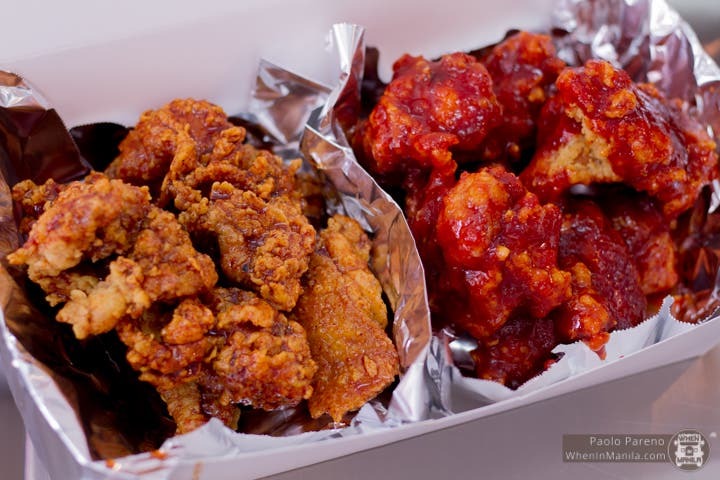 24 Chicken: Get Your Korean Fried Chicken Fix in Legarda! Riding the wave of K-pop and K-drama, Korean food has now become a popular cuisine among foodies in the Philippines. 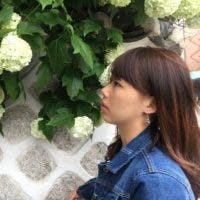 From unlimited Korean Barbecue joints to sit-down Korean restaurants and even chain stores that serve twice-fried chicken coated in your choice of glaze, there are just so many possibilities out there! Thing is, not all of them offer quick and easy delivery options. Unless of course, we’re talking fast food. But even those can get boring after a while, especially if you’re the type that wants to try something new. So, move over Kentucky Fried Chicken—there’s a new joint that serves KFC (Korean Fried Chicken) and that place is called 24 Chicken. 24 Chicken serves affordable and convenient– yet at the same time delicious and authentic– Korean chicken. Perfect for students, dormers, millennials, or just about anyone looking for some quick bites, they’re the first of their kind to focus more on delivery and takeout, which you can order via text. All direct orders come with a modest PHP40 delivery fee and no minimum spending amount. Their delivery service currently only caters the Manila area but if you live much further, you can always order via Honestbee or Grab (delivery fee varies depending on location). If you find yourself busy or caught up in your hectic schedule, their delivery service allows you to satisfy your Korean chicken fix anytime! Another noteworthy thing about 24 Chicken is that they’re eco-friendly. In their quest to be environmentally-friendly and plastic-free, they don’t provide plastic utensils. Instead, they give you bamboo chopsticks, which also work well with the Korean theme they’re going for. They even have their own 24 Chicken eco bag for their chicken which you can get for free if you get a minimum of one whole chicken order delivered–or for a small price of P20 when bought in-store. Now hold on to that bright red bag! Bring it with you when you pick up your chicken and you can get a P2 discount on your order! The creative concept was borne from 3 friends-turned-business-partners when they were all studying in China for a year. Since they stayed in a dorm they couldn’t cook and they resorted to ordering takeout. One of their go-to restaurants was a Korean Chicken delivery place located nearby which they all liked. Realizing that the Philippines didn’t have their own delivery service for authentic Korean fried chicken, they decided to make their own. They then contacted the Korean owner, learned how it was done, and brought it back with them. In order to lower overhead costs, they rented a smaller space—their first branch in the Taft area, near De La Salle University. They then recently opened a second branch in Sampaloc, near the University of Santo Tomas, that offered takeout and delivery options like its predecessor. And because those two were doing so well, they opened their third branch in Legarda—a larger space that features both a takeout and dining area. Now let’s get the juicy details on their food! 24 Chicken uses ingredients sourced from Korea and parts of Asia to create their sauces, along with good-quality chicken meat sourced from the US or Brazil, which are bigger, softer and more tender than their local counterparts. Plus, they use Soya Oil to fry their chicken, allowing the chicken to retain its crispy texture and rich flavor even after a long time. Combine all these with their affordable prices and you do get your money’s worth here. There’s nothing like going back to the basics. The original boneless chicken of 24 Chicken is their base for all the flavored variants, with the glaze and unique flavor profiles setting each one of them apart. But if you like the classics, I recommend this choice. 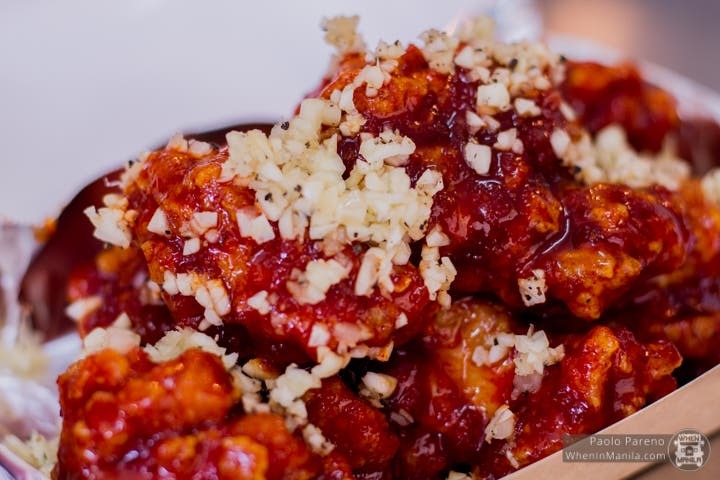 You get tender bites of meat coated in a seasoned batter, along with a red sweet and spicy Korean dipping sauce that they use for their bestselling Yangnyeom. But at least with this option, you get to control how much sauce you’d like in your chicken, or if you prefer it plain. If you’re looking for a refreshing contrast that cuts across rich meaty chicken flavors, the boneless Lemon-glazed chicken is for you! Inspired by lemon chicken that you’d find in Chinese restaurants, their sticky sauce is more sweet than sour and it comes with a generous helping of sesame seeds. It’s perfect for those with a major sweet tooth and kids alike. One of 24 Chicken’s bestselling flavors, this one is an Americanized blend that’s sweet and salty. If you’re sensitive to spicy food, you will notice a mild, almost peppery heat to it. But don’t worry, the spiciness (if you do feel it) doesn’t kick in right away. I, for one, didn’t even notice it. All I got was a sweet, almost honey-like taste. This variant lets you enjoy Jack Daniel’s without getting hungover! Now, this is definitely something to look forward to! The Yangneyom with Garlic is another one of 24 Chicken’s bestsellers, which is your ticket to getting authentic Korean Fried Chicken. It comes with a bright red sauce, but don’t be intimidated—it’s not that spicy compared to the Yangnyeom x2. The sauce is a sweet and spicy blend with the heat being likened to chili. With the addition of minced garlic, the flavors of the sauce are heightened, and you even get that much-loved garlicky taste in every bite. It reminded me of the boxed chicken that I bought from Korea in the Sokcho Market, albeit less spicy. Caution: The Yangnyeom x2 is way too hot to handle. I was curious about how spicy this version was so I requested for some sauce from the owner to dip my Original Chicken in. At first, it seemed like nothing, but then it was a slow heat that built up to a raging spiciness that left me nearly in tears. It tasted just like the Samyang Fire Noodles, which only a few can handle. 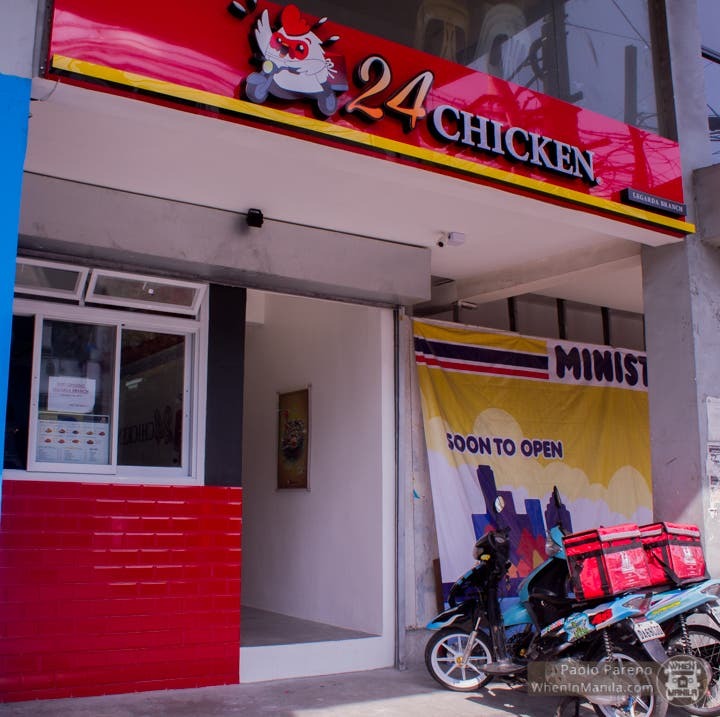 The Legarda Branch of 24 Chicken started its soft opening just last January 18, 2019. The owners are currently working on a centralized receiving and ordering system through text, or possibly even a mobile app, which will definitely help during peak hours. In the future, they plan to branch out to Cubao and Ortigas, along with the hope that someday, 24 Chicken will live up to its name and run for 24 hours. Legal Management Graduate, Freelance Writer, Foodie, Aspiring Photographer and GIA Graduate Gemologist. That's just some of the things Diane is. When she's not obsessing over jewelry, she's out and about: busy writing, trying out new restaurants or learning something new. 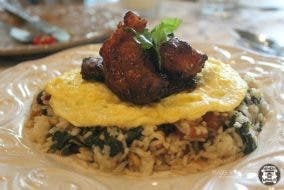 Check out her Instagram account @iamdianenicole and her food blog @friedandprejudice. 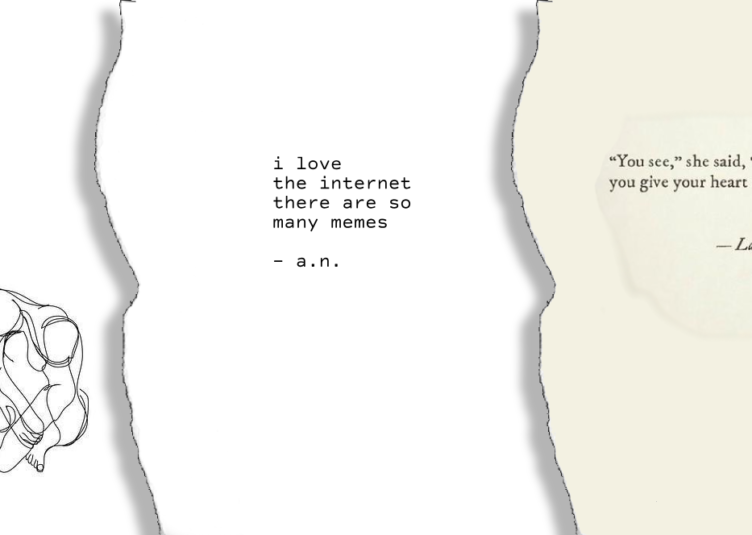 Is Instagram poetry "real" poetry? Delicious Wagyu Burgers for Less Than 200 Pesos at All-in-Burgh!